October, as many know, is Breast Cancer Awareness Month. It is a month dedicated to raising awareness and funds to find a cure for the disease that affects 1 in 8 women in the U.S.
A new breast cancer awareness event has popped up nearly every week of October, which shows the Kean community coming together to raise money for an important cause that affects many people in the world. The iconic pink ribbon and pink color that decorates buildings, websites and newspapers alike throughout October, came to be when the Susan G. Komen Foundation first gave pink ribbons to participants of a New York City breast cancer awareness Race for the Cure event in 1984. Since then the color has become symbolic for the cause and supporters all around the world decorate pink for October. 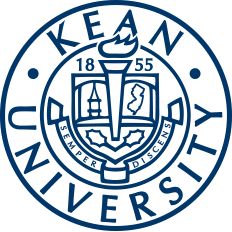 Kean University honors the cause by holding numerous events to bring awareness and fundraising opportunities to this important issue. The money raised from these events will go toward the American Cancer Society to work for finding a cure. 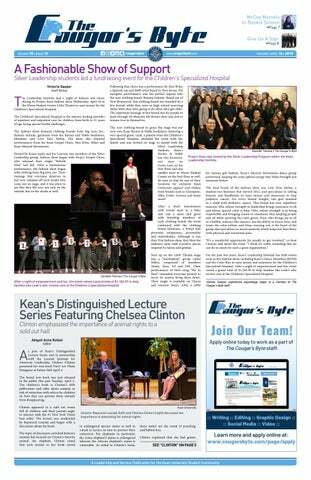 The Greek community, Residential Student Services (RSS) and The Center for Leadership and Service (CLS) among other Kean organizations were very active in the efforts of raising money, education, and awareness. The different Greek organizations on campus attended many of the breast cancer events and held bake sales for fundraising for the American Cancer Society. Groups like Sigma Beta Chi held fundraising events in the Miron Student Center (MSC) lobby and Nu Sigma Phi's bake sale donations went toward the Breast Cancer walk. RSS as well as groups like the American Medical Women's Association held informational discussions about the disease. These discussions helped grow the education on breast cancer so students are more aware of what this cause means to many people affected. The CLS held many events to raise awareness and money for breast cancer and the American Cancer Society. These events included a student employee bake-off; which had departments compete to raise the most money for the cause. Every week a different group would table in the MSC lobby with baked goods and snacks encouraging students, staff and faculty to make donations and take a treat. In coordination with the bake sales, the CLS sold breast cancer awareness shirts and hoodies to increase funds for the American Cancer Society. All of the Kean breast cancer merchandise was sold at tabling sessions in the MSC all throughout October and at Homecoming. The Kean Cougar breast cancer awareness merchandise can still be purchased in MSC, Room 219 while supplies last. These shirts are being sold on a first come first serve basis and sizes may be limited. Shirts are $10 each and hoodies are $25. Over 100 Kean students attended the Making Strides Against Breast Cancer Walk of Central New Jersey held on Sunday, Oct. 21 in Johnson Park in Piscataway, NJ. This turn out allowed Kean University to be among the largest groups in attendance at the walk. Kean was also a top team for the American Cancer Society at this Making Strides Against Breast Cancer Walk. Kean students showed their spirit for the cause and for Kean with many adorning the breast cancer merchandise sold by the Center for Leadership and Service and many wearing different variations of pink and Kean attire. Over 100 Kean students participated in the Making Strides Against Breast Cancer Walk of Central New Jersey. All ready Kean University has surpassed their original goal of $5,000 and has raised $7,535 all for the American Cancer Society. This total has plenty of room to grow as donations through the Kean University team will be open as late as December. Fundraising efforts for breast cancer research and awareness does not stop with the end of October. If anyone is interested in donating through Kean University, visit the American Cancer Society website and click donate, then type in "Kean University" under the search tab that says "my donation will support the fundraising efforts of:". After this is complete and the donation is made, that total will go toward Kean University's team total of donations and money raised for the American Cancer Society's breast cancer research and awareness. Brandon Gervais is a sophomore English education double major. Brandon works as a Staff Writer for The Cougar’s Byte as of November 2017. He is a part of the Leadership Institute as a Silver leader. In his free time, he enjoys reading and competitive indoor color guard. After his years at Kean, he hopes to become a high school teacher and coach color guard.